A Government body wanted to be able to devolve the content creation and management of the website to the staff responsible for each area. The staff had little technical knowledge of the building and maintenance of websites and were based in a variety of locations. The organisation decided to choose Tron Systems as their development partner. 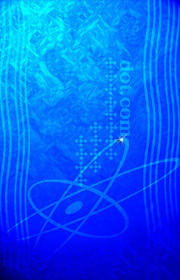 The website was built using Lotus Domino. To allow creation and management of the general content section of the site the publishers use a WYSIWYG browser application that allows them to create and edit information. An application was created to meet their needs and allow users to create well formatted pages without needing to know or understand HTML. The webmaster designates branches of the site to be the responsibility of named users. The users are only allowed to create pages in their own "area" of the site and the menu structure that allows the public to navigate the site is changed dynamically as pages are created and deleted. The site is used to hold a variety of information ranging from publications in PDF format through learning materials for children and webcams of wildlife. The site also uses Tron Systems data transfer application to incorporate relational information that is based in a number of Oracle databases. The devolved content creation removes the bottlenecks for content authors and allows the site to be better maintained. The webmasters can concentrate on maintaining and improving the quality and functionality of the site rather than being bogged down in the process of content manipulation. The site has dramatically increased in content and now contains approximately 25,000 searchable pages. As a result, usage has also dramatically increased. In addition, the centralised management of the site allows the organisation to progress towards full compliance with the government accessibility guidelines.